Developed by Microsoft, WMV or Windows Media Video is a compressed video container format built for the Windows Media framework. WMV files are common on Windows system and usually small in file size compared to MP4. However, it requires plugins while playing the WMV files on Mac. Also, you might fail to play WMV files on iPhone, iPad, or other mobile devices and media players. If you have got a batch of WMV video files, it is imperative to convert your WMV files to a more compatible video format like MP4. Luckily this can be done easily with a wide array of great video converters available. In this post, we have covered the top 5 best free WMV to MP4 converters that work quite well on converting WMV to MP4. Keep reading and looking at pros & cons of each programs. Gihosoft Free Video Converter is a free, versatile program that allows users to convert WMV to MP4 and many other popular formats like MKV, MOV, AVI, etc. free of charge. This WMV to MP4 converter freeware is easy to use, and accepts a large number of video formats which gives users numerous options. It is well laid out and intuitive design means this tool can be used even by the technically naive. Also, it is considered as an ultimate video toolkit as you can download videos from YouTube, transfer videos to mobile device, and burn videos to DVDs etc. Download, install and launch this Free WMV to MP4 Converter software on your PC/Mac computer. Hit the “Add Media” button under the Convert tab to import the WMV files you want to to convert to MP4. Choose “MP4” from the right-panel output format options and then click “Convert” or “Convert All” to start the conversion process. 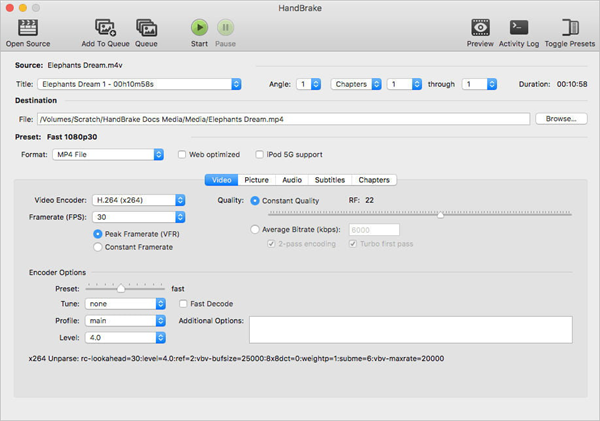 The second free WMV to MP4 converter on our list is HandBrake. This open source video converter supports to convert video files, including WMV to MP4, for playback on a number of popular devices and platforms. Also, it includes advanced video editing feature that allows you to split video, adjust frame rate, add subtitle, assort video effected, etc. Supports almost all kinds of video formats. To get more from this tool, you’ll be required to tweak some options which might be overwhelming for the inexperienced. 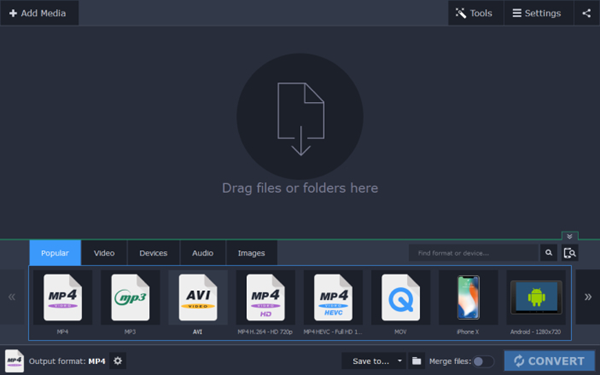 Similar to the first two listed free conversion tools, Movavi Video Converter, also lets users convert WMV to MP4 without paying a dime. In addition to converting WMV to MP4, Movavi can help you convert videos to ay of the 180+ supported formats. It’s inbuilt preset outputs takes the hard work off conversion. And it’s high speed means, you’ll be done in no time without breaking a stride. Pretty simple and straightforward to use. Supports to convert video, audio, DVDs, and image files. Provides lightning-fast conversion without quality loss. Allow users to improve video quality, adjust sound, trim and join video files before converting. Watermark is added to converted video when you use the free version. AVS Video Converter is another free tool that you can use to convert your WMV files to MP4 format with ease. This software includes ready presets to convert video for iPhone, iPad, Android, Samsung, PSP, and more smartphones as well as media players. Plus, its editing tools allows users to add menus, add subtitles, apply visual effects, cut or split videos etc. Supports a wide array of video formats like WMV, MP4, AVI, and MKV just to mention a few. Automate routine work using ready conversion templates without clicking the buttons manually. Upload videos to your website, YouTube, Facebook, Vimeo, Dropbox, Flickr, MySpace, etc. The free version is limited and you’ll need to pay to unlock the full benefit. If you are looking for free software to convert WMV to MP4, then Freemake Video Converter is the way to go. It supports over 500+ video formats that are compatible with most modern devices and gadgets including iPhone, Android, PSS, Xbox, etc. Additionally, it allows you to download videos from online sources like YouTube, Vimeo, Vevo, Dailymotion, etc. Supports to burn video files to DVD and Blu-ray while retaining the quality. Allows users to do basic editing to videos before converting. Lets uses to directly upload videos, photos or music to YouTube. Absolutely free, no limitations or annoying ads. Playing of audio files is not that favorable. Not very capable in handling complex video management task like paid premium tools. With any of the above tools, you can easily convert your video format in WMV to MP4 for free and enjoy the content of your video. These free tools are among the best available today, so indulge yourself and start converting.